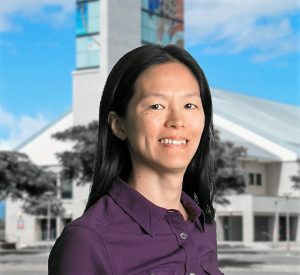 A review by UH West Oʻahu Professor of Philosophy Li-Hsiang Rosenlee of “Feminist Encounters with Confucius” is appearing on Hypatia Reviews Online and will be printed in an upcoming edition of the Hypatia: A Journal of Feminist Philosophy. Dr. Rosenlee’s review was commissioned by Hypatia, a journal of feminist philosophy that endeavors to provide timely, broad coverage of books of interest to feminist philosophers. The book review was refereed, accepted and published. Hypatia Reviews Online is the online venue for book reviews commissioned by Hypatia. Rosenlee said the review will also be printed in the journal. Rosenlee’s review notes “Feminist Encounters with Confucius,” edited by Mathew Foust and Sor-Hoon Tan, adds to the growing scholarship engaged with the field of comparative feminist studies on Confucianism, which is still in its inceptive stage. The book is part of a series by publisher Brill on Modern Chinese Philosophy, which it says has been largely ignored in Western studies of Chinese philosophy. 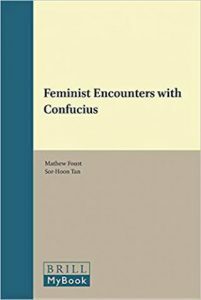 “Foust and Tan’s Feminist Encounters with Confucius provides an entry point for meaningful encounters between the feminist community writ large and Confucianism, an intellectual tradition that has touched countless lives in Asia throughout the ages, yet still remains at the margins of the Western intellectual world,” wrote Rosenlee in the review. Tagged Humanities, Hypatia, Li-Hsiang Rosenlee, philosophy, The University of Hawaiʻi-West Oʻahu, www. Bookmark the permalink.